Enchanting, Style and Design. 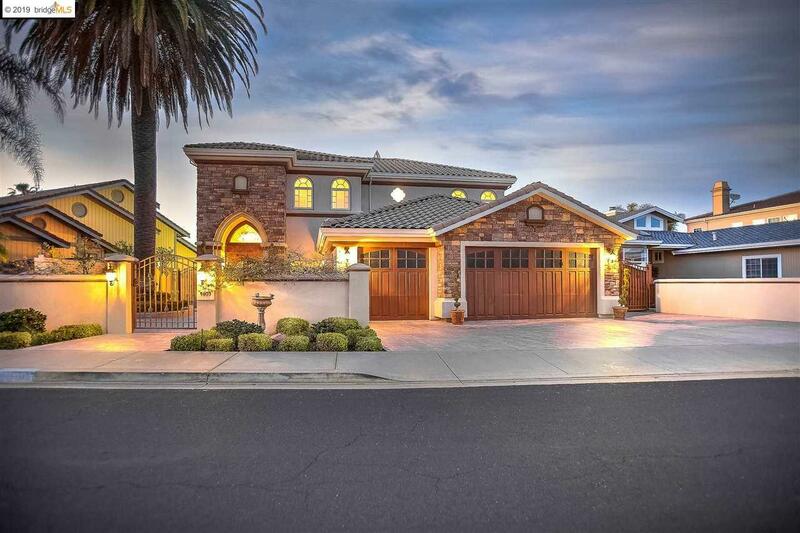 This elegant home offers 4 bedroom, 3 bath and complete divine quality. The property is located close to fast water and the Discovery Bay marina. With the elegance this property offers you will definitely will want to entertain. Beautiful private court yard. As you enter the front custom wood doors and walk in the cathedral foyer, the delight begins, the open spacious high ceilings and floor plan along with formal gourmet kitchen with high end appliances. The home over looks the Delta blue waters. As you make way to the deck you will find the property has a covered amazing canopy that is custom, cool to touch decking and spacious docking for all your boating needs. The property has a paid solar system. Three car garage and Rv parking. This lovely property is a must see. Flooring: Stone (Marble, Slate Etc.